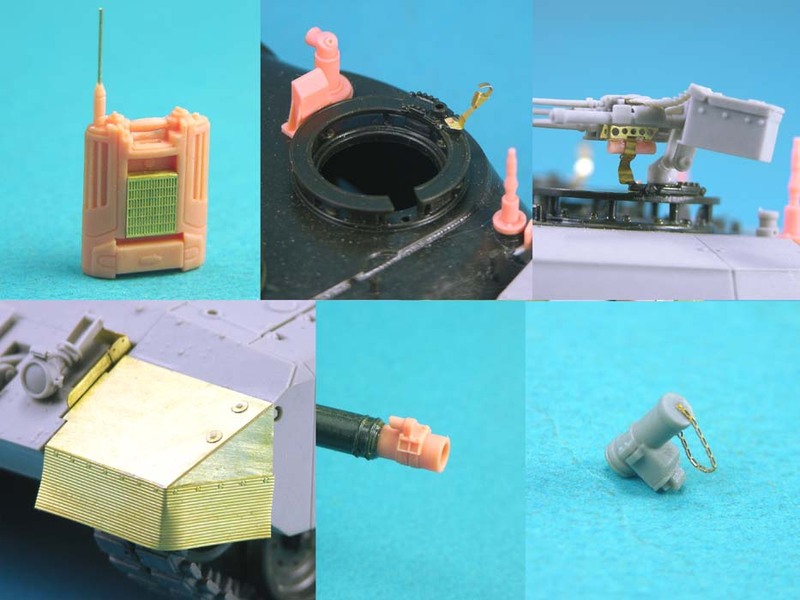 Amongst the recent avalanche of Canadian Leopard C2 MEXAS conversion kits, possibly the biggest surprise was the kit from Legend (reviewed here). Not only was the source of kit surprising, but the quality of the kit was excellent. However, the version they chose to depict was as the machine was delivered to Afghanistan - but before they went into action. Takom have also chosen this version for their first Leopard 1 kit, so this Legend set should be just as appropriate to that kit. 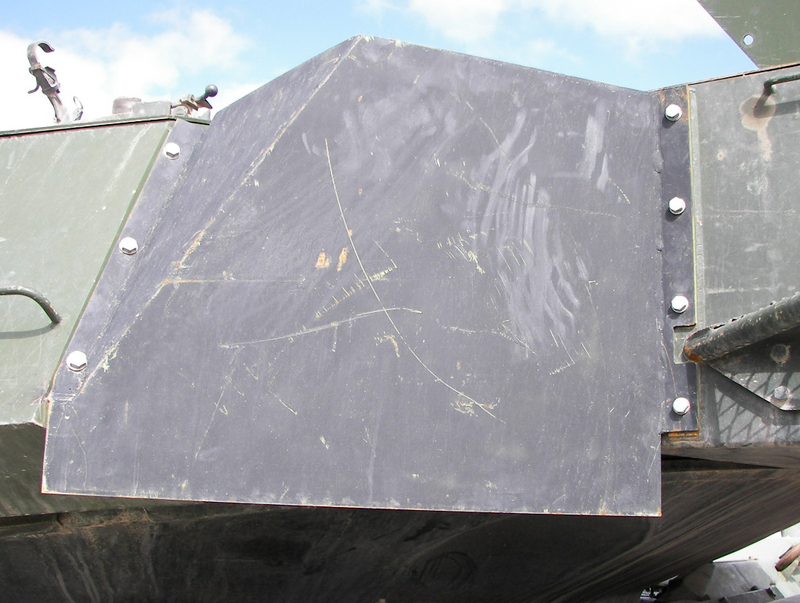 Two small modifications were necessary to turn the kit into a machine that saw action: an APCM/ECM system under a shield on the left turret side just behind the loader's hatch and dust flaps over the front track guards. Legend listened to these points and chose to release an upgrade kit - in co-operation with Leopard Club. Not only did they listen, they also went several steps further to amend some problems in the original conversion - and add some other parts, too. First, let's have a look at what was missing and is now included in this set. 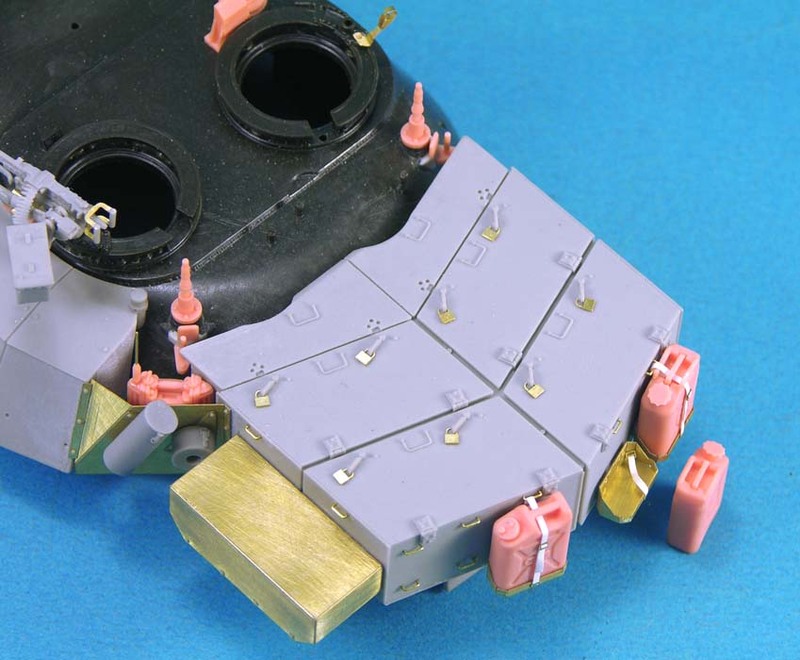 The ECM unit and it's shield are probably the first thing modellers will look at. 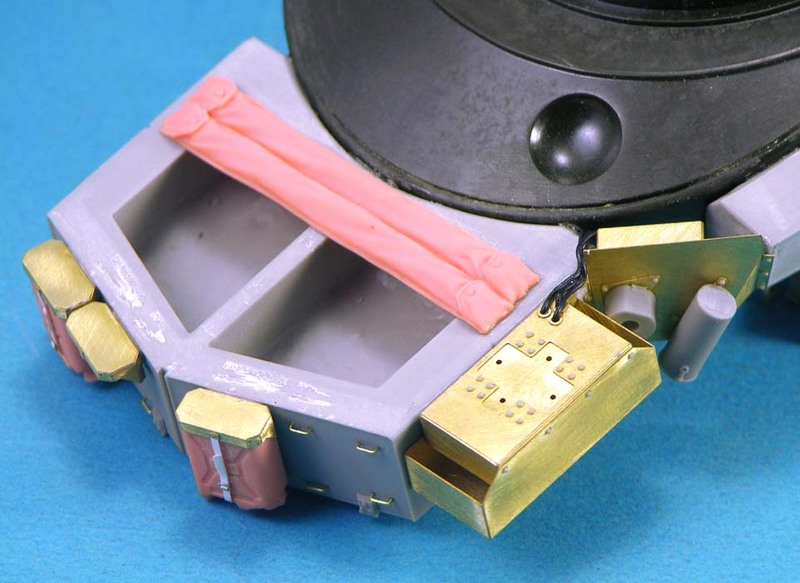 The shield itself is supplied as an etch part. The last block of MEXAS on the left side has to be cut off for this to replace it. An etch shelf to hold the ECM unit goes on the inside. The bolts that hold the shield in place have to sliced from a resin block and glued in place. The ECM unit itself is a work of art. 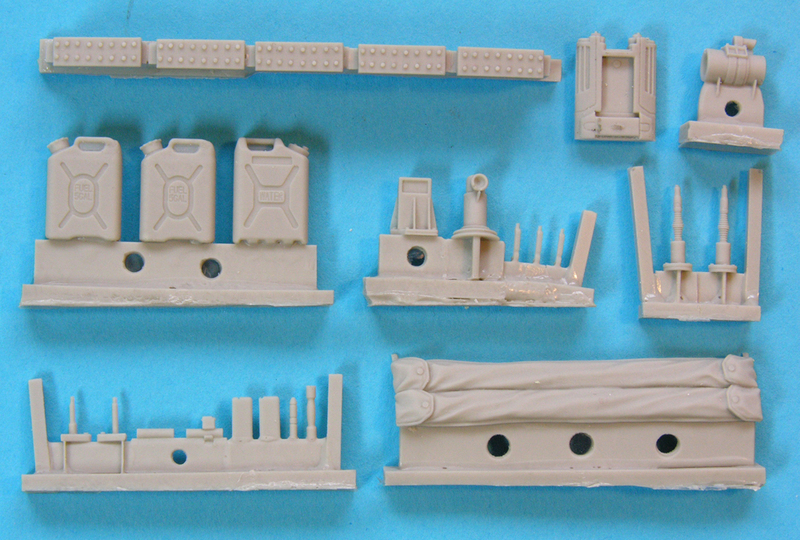 Compare Legend's version (next to the real thing) to those provided by Trackjam (cream) and Perfect Scale Modellbau (darker grey) from their respective conversions. It is made up from no less than six parts including etch grilles front and back. It seems such a shame to hide it behind the shield. A strap and cables need to added to it to make it completely authentic (the other models also). Look at page 68 of Anthony Sewards book available here. Another addition are a pair of dust shields for the front track guards. 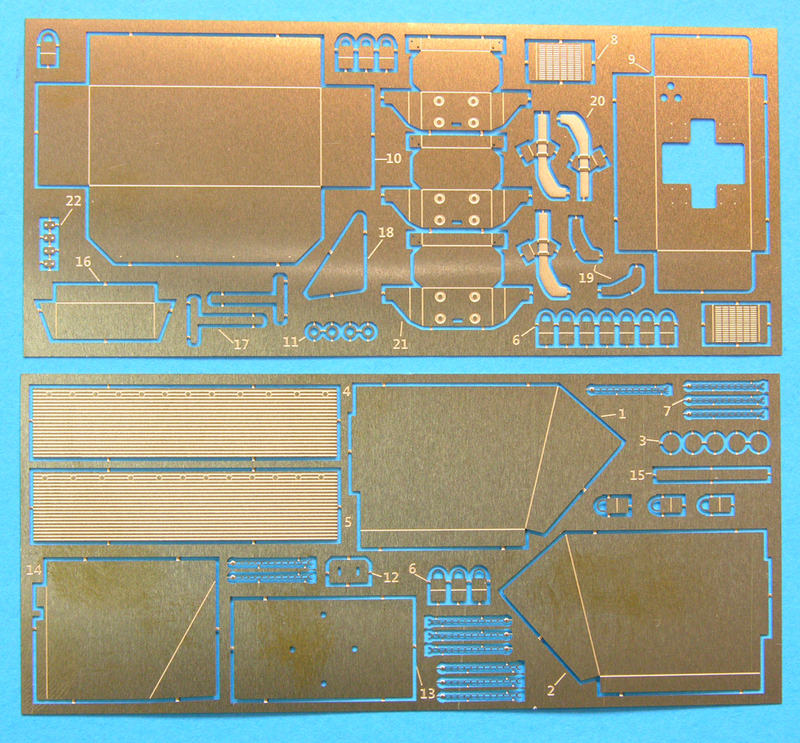 Again, these are made up from several etch parts per side - see the instructions. 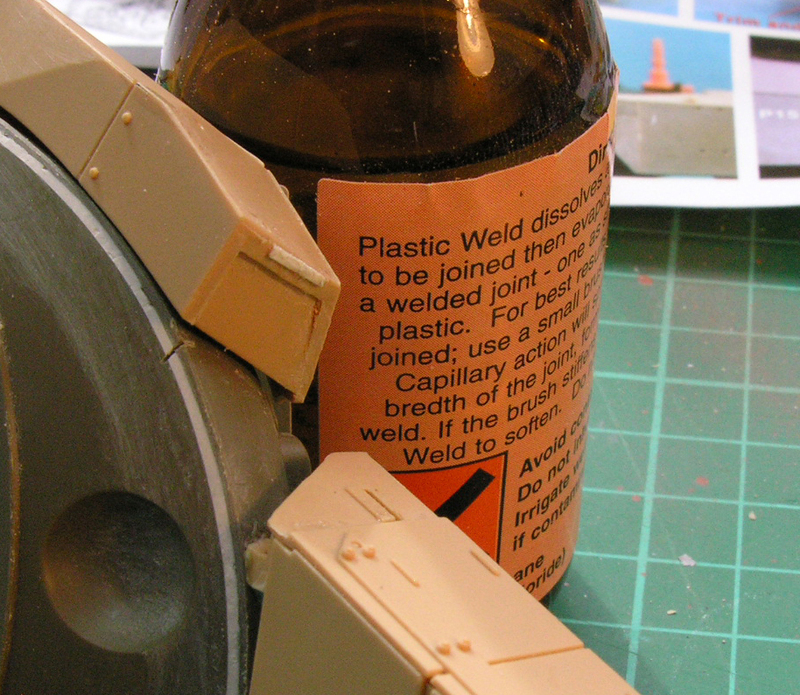 A muzzle reference system is also included to replace the poor Revell item from the donor kit. The other major addition is the cooling unit which was used to cool the crews cooling suits in an attempt to keep them comfortable in a tank with no air conditioning! Strictly speaking this unit was only fitted at the same time as the tank's thermal jacket, so if you are brave enough to add this yourself, good luck! The similar units on the Trackjam and PSM kits were undersized (24 mm long) and oversized (29 mm), respectively. Legend have gone in between with 27 mm, so it is the more accurate rendition. Legend also include rubber tubing to hook up the unit to the tank. 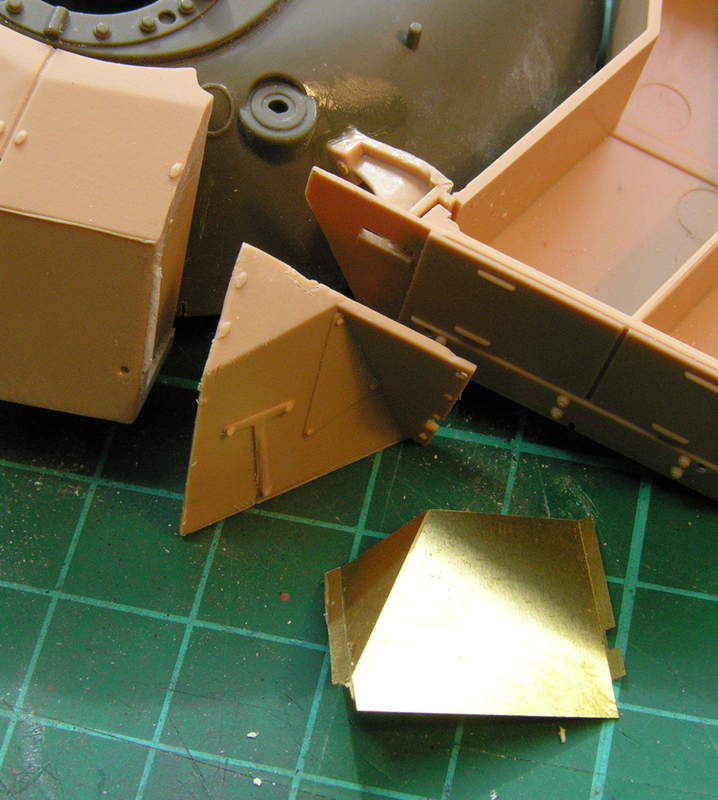 The final thing that was missing before were the antennae bags under the turret stow box. These are now included and they are the correct length, unlike PSM's short renditions. However, one small problem is that they have flaps at both ends when they should be at one end only (usually on the right side), but this is relatively easy to modify with a file and sharp knife. 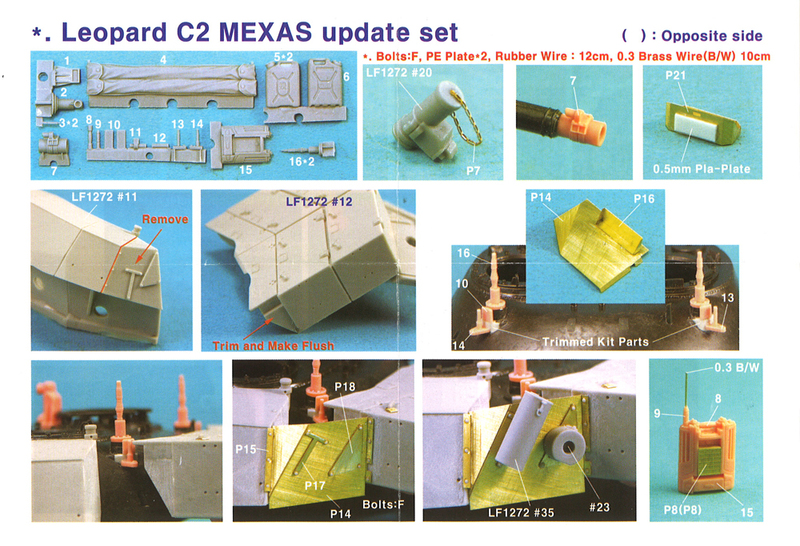 Also included in this upgrade are parts that improve on the original LF1272 MEXAS conversion kit. 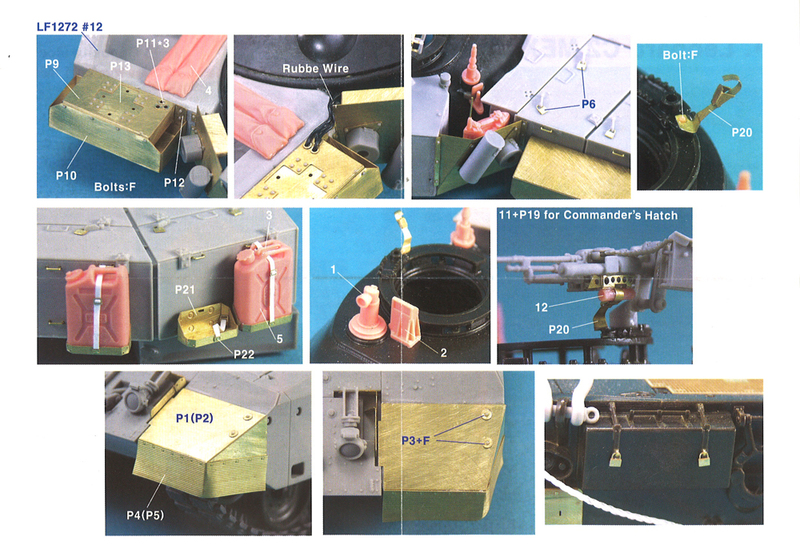 These are: chains for the smoke launchers; improved antennae mounts; mounts for the (removed) turret basket; separate parts for the jerrycans (two types)/racks/straps to replace the previous moulded as one parts; better commander's optics; a pair of travel locks for the cupola-mounted machine guns; and numerous padlocks for various boxes. 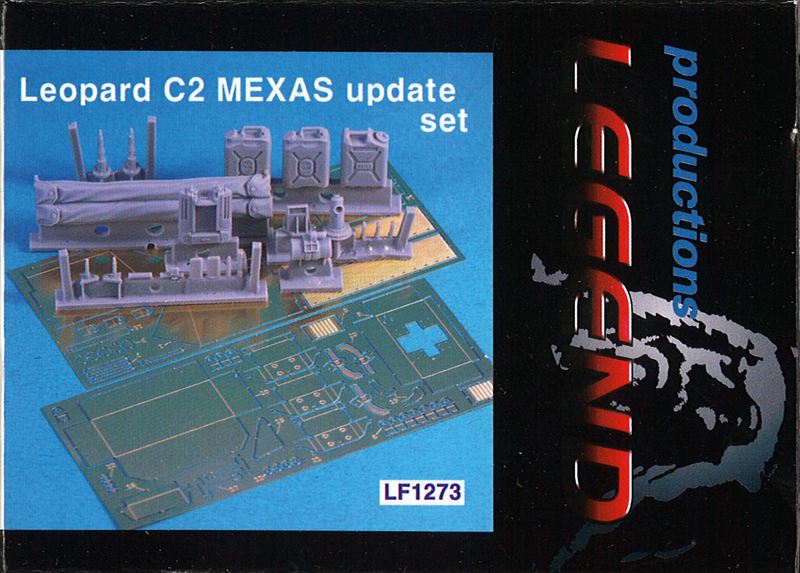 I have been asked several times if the Legend Upgrade (which was designed for Legend's own conversion kit) will work with the Takom C2 MEXAS kit. The answer is YES, it will! The only possible problem with matching the Legend MEXAS upgrade kit to the Takom kit is the ECM shield. It fits perfectly! All of the other parts supplied in the upgrade are add-ons which should not cause any problems at all. Remove last block of armour on the left side. 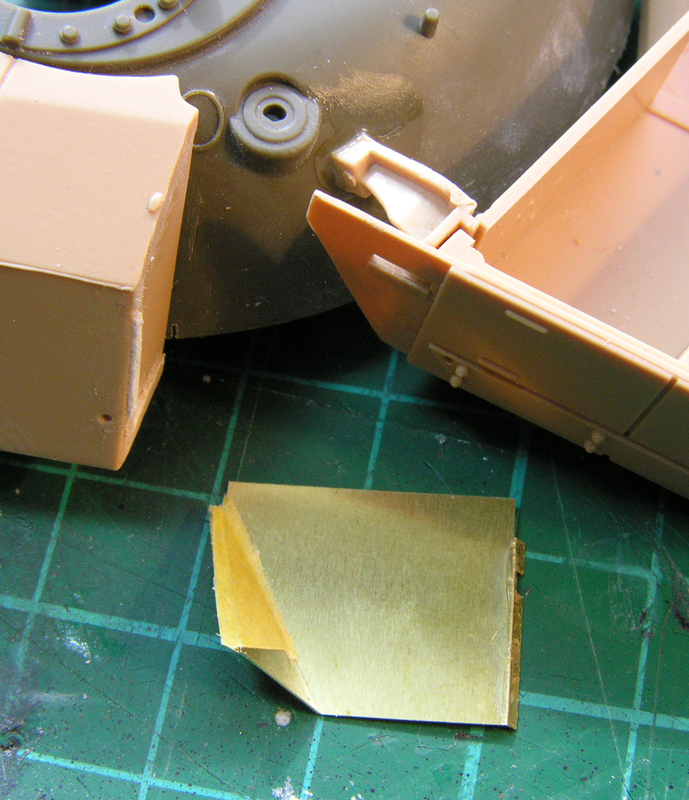 Add plastic strip along edge of armour to give brass strip (part P15) more to sit on. Tape P15 to main shield part P14. This makes it less fiddly and easier to manouevre into position. Check all of your angles, check for fit, and glue in place. 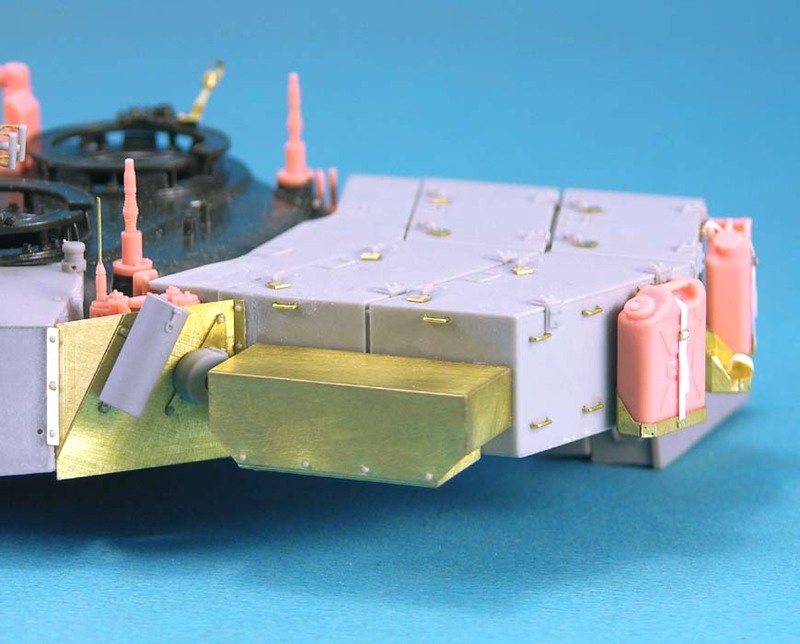 Note that strip P15 sits on the rear edge of the MEXAS block - not the front face - hence the need for the plastic strip behind it. 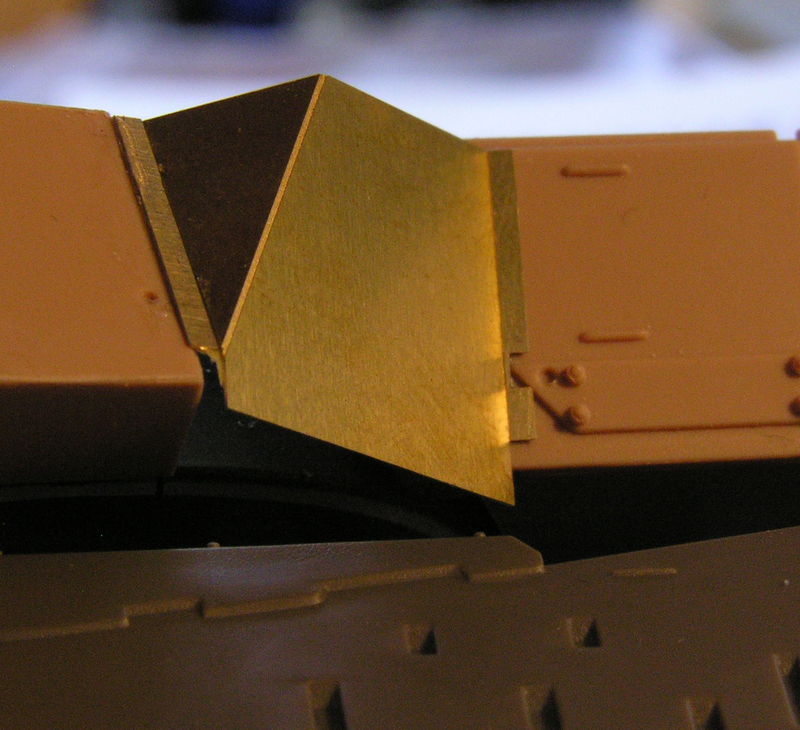 This fits perfectly and gives the correct angles, unlike the PSM and Real Model attempts, both of which have the top edge of the triangular panel in line with the MEXAS block. This is a small set but it packs in quite a lot. It is very well produced and will enhance and update the original C2 MEXAS conversion. 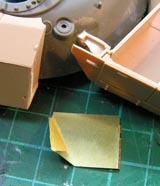 It will also work perfectly for the new Takom kit. It is nice to work with a manufacturer that listens and Leopard Club are very grateful to Legend for doing just that. It is also good that Legend have recognised the importance of Leopard and we are sure there will be more to come in the future.